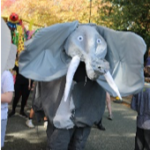 We organise lots of events throughout the year, all designed to be great fun for the children and adults alike, as well as raising funds for the school. Please see below for some of our highlights. Our Summer Fairs are already a great family fun day! 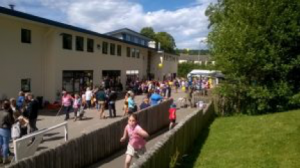 We have fantastic turnouts with children, parents and family enjoying lots of activities over the years including ‘Welly Wanging’, ‘Drench your Dad’, ‘Human Fruit Machine’. ‘Scootathon’, a football shoot-out and much more. 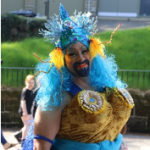 We have many stalls including tombolas for adults and children, toy stall, hair and make-up station; together with a beer tent and barbeque for the adults. The Summer Fairs are also a great opportunity for our new starters who join us in September to see the school and enjoy the lovely atmosphere of All Saints’. Record numbers were in attendance for our inaugural event which raised £419. Our resident Bingo caller, Matt Easter, did a sterling job on the night. There was a great atmosphere and all the parents and children had a really good time (we think the bar helped for the parents!). 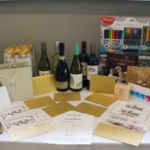 Many children, and a few parents, went home with some great prizes (one or two mums and dads were particularly pleased with their wine and beer!). May 2016 – Was a different story in terms of the weather. The heavens opened just as the procession started. 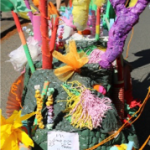 But that didn’t dampen anyone’s spirits, and we not only won “Best School in Parade” but the coveted title of “Best in Parade”. It was a great day! 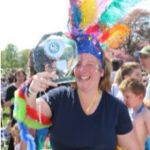 May 2018 – What a fabulous day it was – a great turn out with record numbers for the All Saints entry and massive crowds along the whole route, amazing weather (although a little too hot for some) and a great result – the coveted title of “Best in Parade” again. Another great day! Every year we organise a school family camping trip and take over the whole campsite at the scenic Studfold Farm. The children have an absolute ball, as do the adults (even despite the disappointing weather in 2018). In 2017 it was a different story and we experienced gorgeous weather. 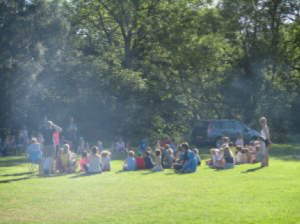 The children enjoyed playing football, having water fights, exploring How Stean Gorge, whilst the adults had the chance to relax and soak up the sun. A great weekend enjoyed by everyone! Our discos are undoubtedly the children’s favourite activity. 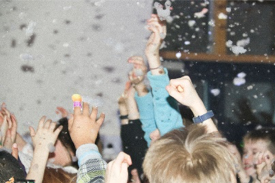 Two discos are held to cater for younger and older children (and some parents have a bit of boogie too!). Judging from their happy, sweaty faces the evenings are a great success with a great DJ, face painting and tattoos. The Tuck Shop is always a favourite and September 2017 proved a great success with the slime in particular going down a storm! The Foundation/Year 1 Easter Parties are always a popular event with our younger children and a great success. We have craft activities, an Easter Egg hunt, egg decorating competition and lots of fun and games. All the children who attend have a great time and go home very happy with lots of Easter eggs and items they make in our craft room. 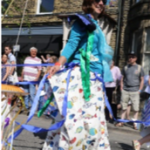 We have also had some generous donations from local suppliers, including Booths, Namaste Fairtrade in Skipton and Whitakers Chocolates in Skipton. This was a new event in the PTA calendar in 2017 and was a huge success. 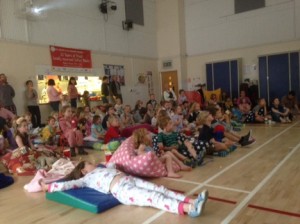 Over 120 people joined us to see the movie ‘Sing’ with the children wearing slumber attire and accompanied by their favourite teddies. It was a lovely, chilled atmosphere. In 2018 the children got to enjoyed Paddington 2 on the big screen whilst the parents enjoyed a well-stocked bar and BBQ outside in the gorgeous weather. Our Christmas Fairs are always magical occasions with lots of people attending. 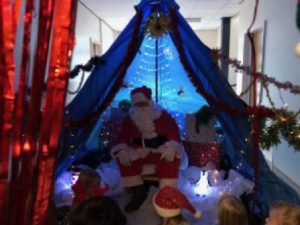 They are made even more special by the guest appearance of Father Christmas, who delights the children whilst listening to their Christmas wishes. And it’s not just the children who have fun! We also organise fantastic nights out for mums and dads too. 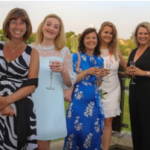 Our Casino Night, held at the Ilkley Tennis Club, was a great opportunity for the grown-ups to get glammed up, try their luck at the casino tables and then dance the night away. 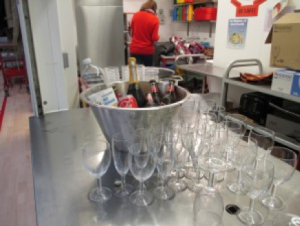 We had a great night at the Quiz Night with lots of money raised (mostly through the consumption of alcohol!) and a lot of competitive spirit on display. Great fun! The social event of 2018 took place on Saturday 19 May. No, not the Royal Wedding! The PTA Black Tie event at the Ilkley Tennis Club. The weather was glorious and it was a great turnout. It was lovely to see so many parents all dressed up and enjoying themselves. 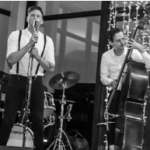 The band, Alex Graham and the Concords, were outstanding and we would definitely recommend them for any future events you may be organising. We sold hundreds of raffle tickets and we had some great prizes to giveaway. We also had a number of prizes that we auctioned on the night, including a signed, framed football picture, football tickets, football scarf and jewellery. The success of all our events is down to the efforts of the many volunteers who take part. 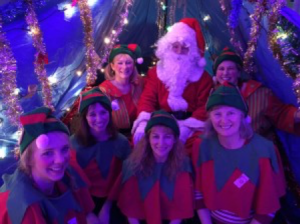 We couldn’t hold these events without your help and support, so we would like to say a big thank you from the PTA Committee on behalf of all children, parents and families. The amount we raise each year is testament to the success of these events. Over the course of the school year, these activities (and all the other PTA events), have raised an amazing amount of money which has gone back into the school to fund various exciting initiatives. We will continue to update this page with news about our 2018/2019 activities.